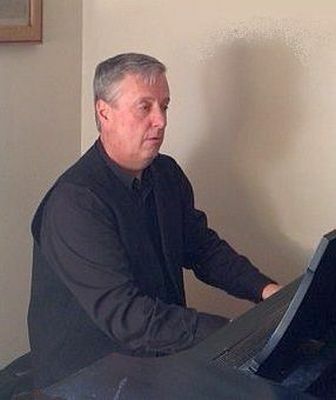 Mark Whitlock, a freelance piano technician, has maintained pianos in the Boston area for over twenty years, and is currently the concert technician at Jordan Hall, New England Conservatory. He has also worked at Boston Conservatory, Wellesley College and Symphony Hall. A piano student from age ten, Mark received a degree in music from the Crane School of Music, at Potsdam, New York. In collaboration with Boston musicians, with a special concentration on Schubert Lieder, he has performed at Wellesley College, Boston Conservatory's Seully Hall, and the Harvard Musical Association. He has attended art song coaching sessions with Frank Kelley, studied piano with Alys Terrien-Queen, and played in master classes with Ya-Fei Chuang. He is currently studying with Roberto Poli. Other activities include furniture building, hiking, canoeing, reading and attending protest rallies.